My first assignment as an actor was after my time serving in the army during my conscription. I played the male lead who was a troubled youth, Mehmet, who gets hired by an aging store owner, Mrs. Eilersen, and an unlikely friendship emerges. 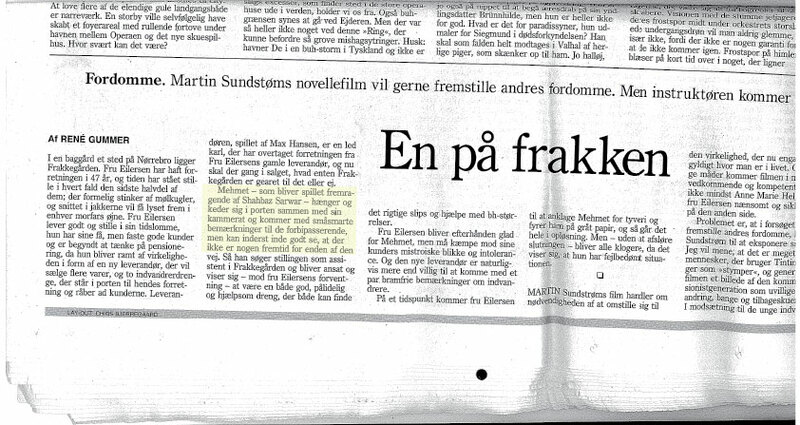 Reviews in Fyens Stiftstidende and Weekendavisen both personally complimented me and gave 4 out of 6 stars.